Forget the mass-produced tortilla chips and E-flavoured salsa dips. Discover the taste of real Latin American food, as diverse as its beautiful landscapes, drawing on age-old indigenous recipes with influences from Spain, Portugal and Africa. From the snow-capped mountains of the Andes there is drunken chicken, potatoes with walnut, cheese, and chilli sauce and corn arepas stuffed with cream cheese; from the palm-fringed Caribbean, avocado and codfish appetizer, and Trinidadian callaloo; from the dusky hills of Mexico, red chicken with almonds, chopped courgettes and cream. The recipes are interspersed with stories about the origins of Latin American foods and the cooks who introduced the author to this cuisine. 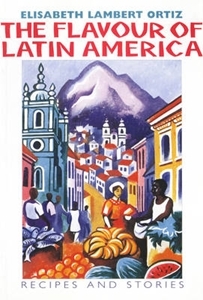 Poems, diaries and extracts from Latin American novels are also included.